Ella Click, 74, of Stephenville, passed away Thursday, October 11, 2018. A memorial service will be held at 6:00 pm Thursday, October 18, 2018 at the Lingleville Baptist Church in Lingleville. Ella was born on September 2, 1944 in Fort Worth to the late John and Anna Gregory. 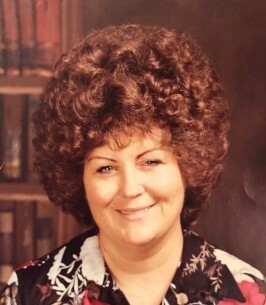 She has lived in Erath County most of her life, raising two sons. Ella retired from TDCJ in 2004 after working many years in commissary. She then worked in accounting for the family business. Ella loved being with family and had a great fondness for Elvis. Survivors include sons, Lonney Click and wife Sheree of Lingleville, and Daren Click of Lingleville; grandchildren, Tyson Click, Cassee Click, Haylee Rice and husband Callan, and Tucker Click and wife Cassidy; and lifelong friend and cousin, Tracy Ernest. She was preceded in death by a brother, Larry Gregory, and ex-husband, Kendell Click. To send flowers to the family of Ella Click (Gregory), please visit our Heartfelt Sympathies Store.